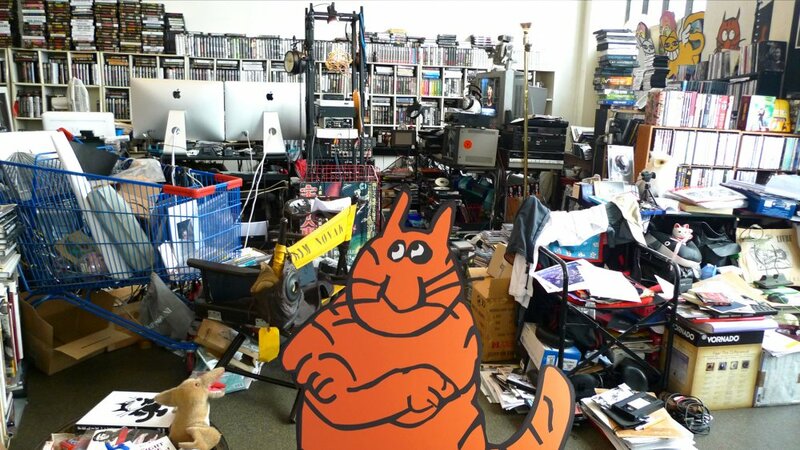 The good folk at chrismarker.org have provided an brief update to the on going acquisition of the Chris Marker estate by the Cinémathèque française. Captured in an interview between journalist Louis Guichard and the Cinémathèque’s head Serge Toubiana, focusing on the Cinémathèque’s current project with Jacques Demy’s archive, Toubiana provides a little glimpse inside the Marker collection. Here’s the excerpt that fills in some details to the already reported State of the Estate, back in June. You can follow Serge Toubiana’s blog at blog.cinematheque.fr. L’acquisition d’archives payantes est-elle une option ? Is paying for archival acquisitions an option? There is also the case of Chris Marker, who did not create a will. In the course of the last years of his life, he was living with Costa-Gavras, President of the Cinémathèque, and he had said that he would leave a letter specifying what he wished to do with his archives. But nothing like this was found. With his death, a summary inventory took place, along with research into his heirs that identified six persons removed by 5 or 6 degrees… We made them a proposition that was agreed upon and we acquired the estate for 40,000 Euros. We found ourselves faced with a sort of gigantic shambles, with enormous stacks of photos, negatives, hard drives, computers, all the work that he conducted in/on Second Life, hundreds of small objects, collages, journals… He kept everything. But what to do with it? It’s a considerable piece of work. We put together a team internally, charged with pursuing the inventory and working on the digital archive. In addition, a scientific committee meets regularly. How to present the tree structure of this hybrid work? Chris Marker was a media [enterprise] unto himself. Perhaps it will be necessary to have engineers consider this reflection… There will be without a doubt a Marker event at the Cinémathèque in 2017 or 2018.